Lemon juice brightens this dish. 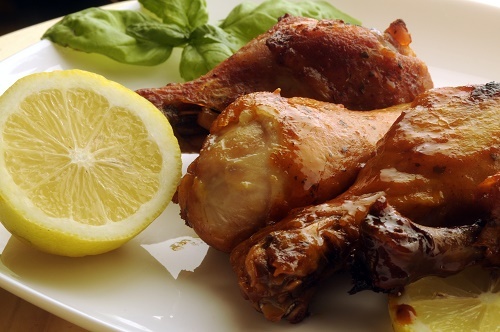 Toss the chicken in the lemon juice and allow to marinate for a short time. Sauté in a hot pan until cooked through. Season to taste.